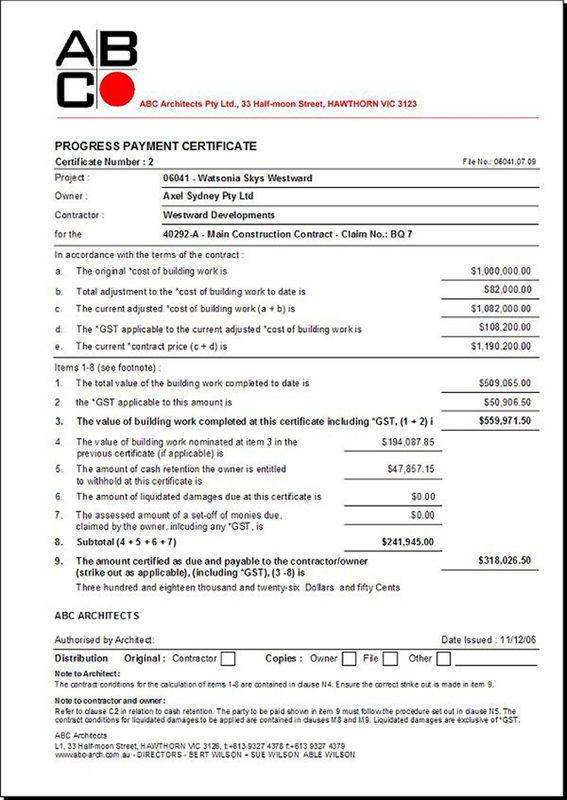 The Contract Administration module is a comprehensive facility to manage all of the necessary processes and documentation of the building contract from the Architects perspective. This will usually be the used for one main Construction Contract, but could comprise a number of different major or subsidiary Contracts. All of the documents needed to instruct the builder in the course of the construction process, vary the monetary value of the contract and certify payment are present- Architect's instruction, Contract Variation, Extension of Time, Progress Certificates and many more. There is also a complete Project Budget layer that can be used if you are administering the entire process as a project manager. This would entail keeping track of all the Costs incurred for the Project such as Client Costs, Authority Fees, Project Consultants, Construction Costs, Finance Costs, etc. In a user-defined structure of Budget Headings and Cost Codes. 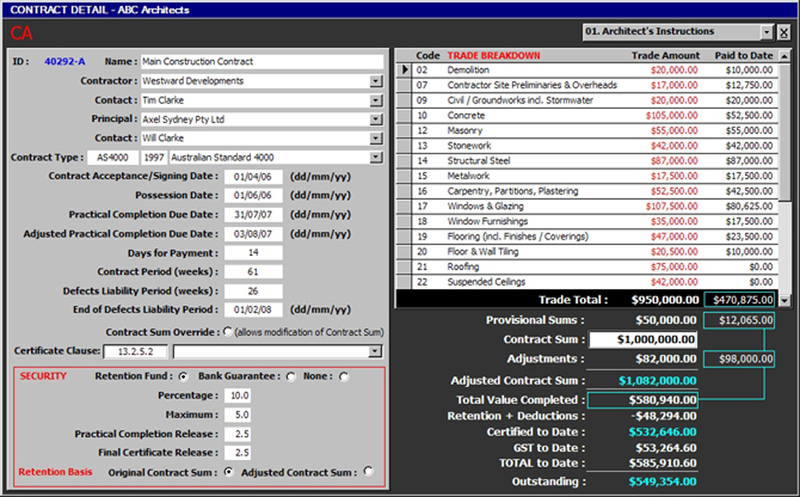 Then, within each Budget element there is the ability to identify and manage individual Contracts, be they Construction Contracts or Consultant Services Contracts.